naturalized. At least 1,700 of them can be found in or near forests. P & M Technologies specializes in identifying commercial prospects for these species within an ecologically sustainable framework. 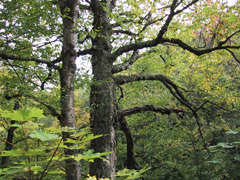 We are equally active in research on the physiology & resilience of Canadian plants. Our areas of expertise include novel uses of plants; botanical medicines; plant bioindicators; and remote sensing of stress in vegetation. We introduce entrepreneurs to the commercial potential of non-traditional forest products & services for small businesses and micro-enterprises. We research non-timber forest products – specialty goods from Canada's forests, such as foods, health products, environmental products, gardening products, and arts & craft items. We are also helping to advance the emerging field of non-timber forest services – in sectors such as ecotourism, education, and business support. 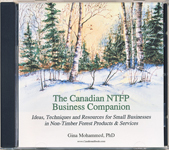 P&M Technologies is pleased to announce our latest publication, "The Canadian NTFP Business Companion", a comprehensive NTFP business guide on CD/DVD that's full of business ideas & resources for entrepreneurs in Canada and the northern United States. P & M Technologies collaborates with scientists around the world on projects leading to innovative products and services based on plant science, including the development of space-based technologies in plant physiology. For the past few years we have been leading a couple of study projects in remote sensing of chlorophyll fluorescence for the European Space Agency (ESA). P & M Technologies actively supports and participates in the annual Algoma Rotary Science Fair, which was held this year on April 5th. Awards were presented on April 6th. We also contribute time to Mozilla projects like Firefox and Thunderbird.